We operate 40 Post Offices located within our Scotmid foodstores, throughout Scotland. As well as providing the traditional services expected of a Post Office, we also offer a range of additional services including travel and home insurance, telephone and broadband services, and mobile phone top-ups. Our Post Offices provide an essential service to the communities where we are based. Post Office Managers are responsible for the overall running and profitability of their branch. They must ensure compliance to Society and Post Office rules and procedures, whilst also ensuring that customers receive a high level of service from the team. In addition to undertaking counter tasks, Deputy Managers also assume responsibility for the branch in the absence of the Post Office Manager. They provide a fast, effective and friendly customer experience and help to maintain excellent standards within the branch. 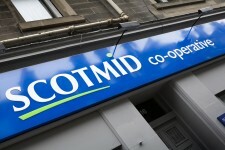 Counter Assistants are our customer’s first point of contact in a Scotmid Post Office branch. They have excellent customer service and interpersonal skills as well as good numerical and organisational skills. Experience in IT systems is important as is the ability to advise customers on the best product or service for them, as well as actively selling additional products which customers may be interested in. Confidentiality is essential in this post.